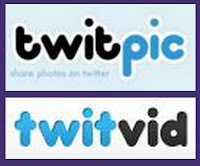 mike downes - we make videos to help people learn: Twitpic v Twitvid - is there a difference? Which one should you use? Twitpic v Twitvid - is there a difference? Which one should you use? I mainly use Twitter from a laptop, upload photos to Google's Picasa and use Google's YouTube for videos. Oh, and I also upload blogged photos to Google's Blogger. Did I just say Google three times - seems that way. Why then, does Google not have a photo uploader that opens within Twitter? Perhaps it does, but I've not found it. So, I have New Twitter on a laptop (sporting win7). Screen is split, we all know that, new tweet comes flying in and the tiny photo thumbnail tells me - a photo is active. Usually this can be via Twitpic, Twitvid, Yfrog and others. Is there a need for me to use, yet another app - I think so, here's why. When I post, I then tweet it to tell my followers it's new. Photos and Videos are held within the blog post as that's where I'd like the audience to end up. That helps my stats. Then again, as a reader of tweets (not my own), I want the image (or video) to be instant and not open in a new browser. 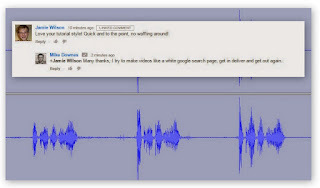 Twitpic and Twitvid do this (Yfrog is supoposed to do it, but seems I can make a sandwich in the time some stuff opens. Well, we have Twitpic owned by Noah Everett (see the Wiki), launched early 2008 and an Alexa ranking of 97. Odd, no mention on wiki page that twitpic handles videos too - but we all know it can. The widget embeds easily and it loads fast on my whatsinKenilworh site. I've just found the cool head tagging tool - very useful. Where Twitvid is owned by Twitter (defaults in Tweetdeck), ranks in at 3,980 with Alexa and cannot be found in Wikipedia, odd that, it redirects to Twitter page, then has no mention. The widget, not great - stalled many times at my blog, so now it's gone. My vote goes to...no surprises, you've guessed it - Twitpic all the way.